The Achievers Book Club is proud to announce that today ABC’s co-founder, Amina Ismeal, was nominated for the World Children’s Peace Prize. 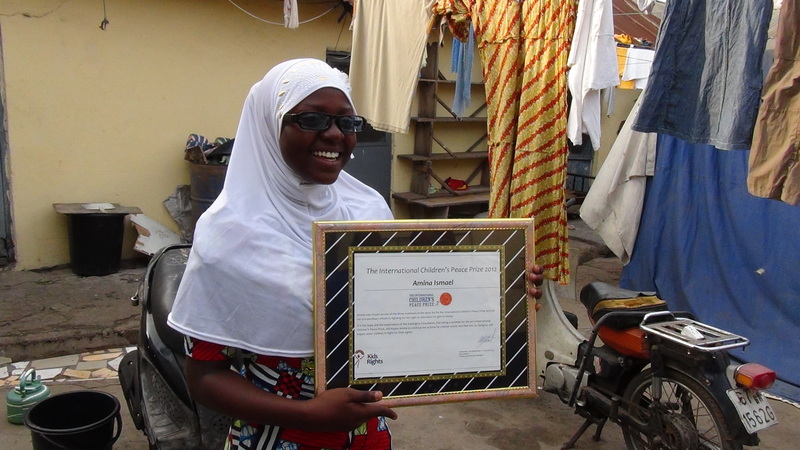 The children nominated for 2012 are Amina (15) from Ghana, Anwara (16) from India and Kesz (13) from the Philippines. They were selected from 97 entries from 43 different countries. Amina, Anwara and Kesz are actively committed to advocating children’s rights. They all brought about impressive changes in their communities at a very young age, each in their own way. This entry was posted in News and tagged Amina, Childrens World Peace Prize, Kidsright. Bookmark the permalink. I’m gone to convey my little brother, that he should also go to see this blog on regular basis to obtain updated from latest news update.